Some people might be surprised to hear that you can easily spend 7 days in Dubai without getting bored. After all, there are only skyscrapers and malls, right? Well, as a regular Dubai visitor who has spent a lot of time in Dubai, I could not disagree more. Dubai has so much to offer and most people just do not realize that you can easily fill 7 days, or even more, in Dubai with fun activities and places to see. So, this itinerary helps you plan your trip to Dubai and how to spend 7-14 days in Dubai. Seriously, if you are open-minded and give Dubai a chance, you will quickly realize that malls and skyscrapers are just a small part of their charm. 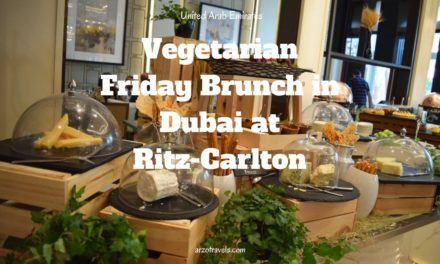 If you plan a trip to Dubai and are wondering how to spend your week, this itinerary will help you to make the best of your time and see what others probably do not see – the best Dubai itinerary for a week :). My favorite airline is probably Emirates Airlines – but I use different airlines whenever I fly to the Emirates. The Dubai based airline offers great services. It is a bit more expensive than other airlines I have flown with (including Turkish Airlines or KLM) but I just like it more. Dubai has two airports: most likely you will fly into Dubai International Airport (DXB International). From there, it takes about 10-15 minutes drive (taxi) to get to the old town of Dubai and about 20 minutes to get to Burj Khalifa. Don’t be surprised to be stuck in traffic even at night – Dubai is always busy. Click here to check out prices for Emirates flights to Dubai. Abu Dhabi International Airport (AUH) is the second biggest airport in the United Arab Emirates and if you fly with Etihad Airways you will most likely fly over Abu Dhabi. It takes about an hour drive to get to Dubai (about 50-60€ taxi fare). Click here to check out prices for Etihad Airlines (I have never flown with them but heard only good things about their services). If you are in Dubai for one week, you could actually rent a car. But you should know that driving there, from my perspective, is a bit crazy. You should have nerves of steel if you decide to drive, particularly around Downtown Dubai. I recommend getting a NOL card for the public transportation (there is a one-time fee for it, but you can then recharge it; public transpiration fees are cheaper this way than if you buy single tickets each time). Plus, it is valid for several years, so you can use it for your next Dubai trip. A ticket costs a bit more than 1€ with the NOL card (about 1.6€ without). 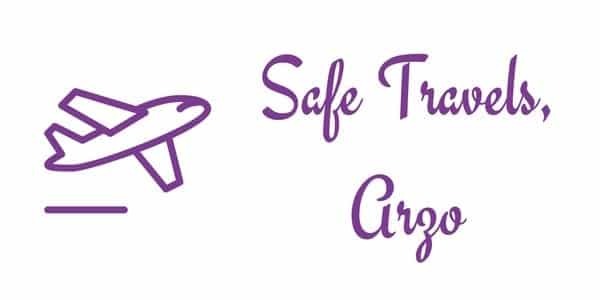 However, when it comes to public transportation, I am a bit skeptical because a) the metro stations do not have enough stops, so each stop is rather far from the last, and b) the buses are not always well connected for us travelers, so it is not easy to get from one popular station to another. I mostly take the metro for long distances (especially downtown, where there is a lot of traffic and getting around by cab can mean that you are stuck in a taxi forever) and then jump into a taxi for the shorter rides, if there is no direct connection. Hop-on and hop-off buses are a great way to get from one popular tourist attraction to another – at least for some places (the ones I tested). They will not stop at each stop, but at most attractions and so I only used them as a means of transportation once in a while, as I had a 7-day pass. The pass also includes a few cool attractions, so it saves money in addition to getting you from Point A to Point B – e.g. the Flying Cup, which I will talk about later (and I even did two boat cruises that were included). During one of my other stays, I bought a five-day ticket from the other tour company – both have similar services and stops. Uber is available in Dubai, but I have never used it. If you need a taxi (which unfortunately is needed sometimes as attractions are quite spread and public transportation not always the best), you can just grab one from the street. There are the regular ones (which a yellowish color and taxi is written on it) but there are also the black Lexus taxis, which are more expensive but also official. Using a taxi in Dubai is great, there is no haggling, the taximeter shows the price, driven kilometers and more. It is absolutely safe. There are also a few pinkish taxis – for female passengers but the regular ones are just fine. Drivers know famous attractions and main streets, but not necessarily smaller hotels or streets – so, if you stay at a place less known, have an app to show him the address/way or take screenshots of Google maps etc. Accommodations in Dubai are not cheap but the standard is quite high. There are many 5-star hotels that are mind-blowing (among them Atlantis – The Palm or Grosvenor House), but also 4- or 3-star hotels are fine. You can check out rates for accommodations in Dubai here, and if you are looking for my personal recommendations for all budgets and areas click here. There you will also find my tips for the best neighborhoods to stay in Dubai. Okay, enough talking. 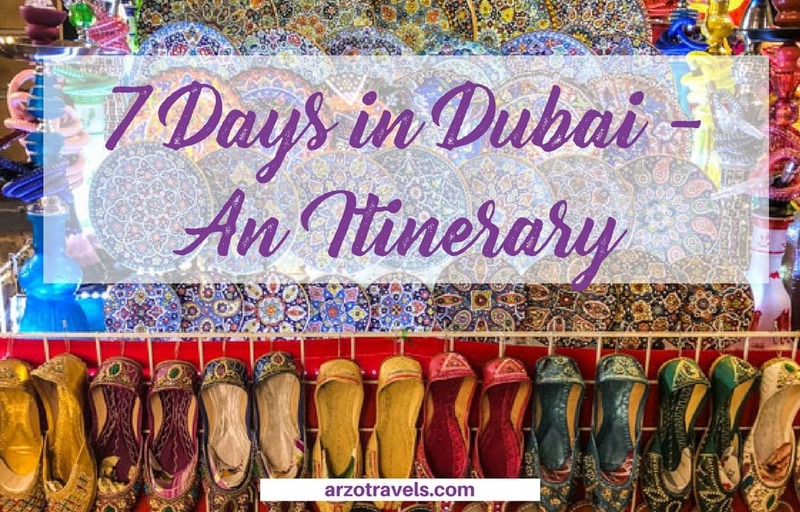 Here are my ideas for Dubai in 7 days – a perfect one-week itinerary (and Dubai two-week itinerary). Okay, after all the important travel info here are my activity tips for a week in Dubai. Whether you arrive in the morning, evening, or afternoon, my recommendation is to head to La Mer first. La Mer just opened recently and will probably become one of the hotspots in Dubai in 2018 and after. The area is located in the Jumeirah area. 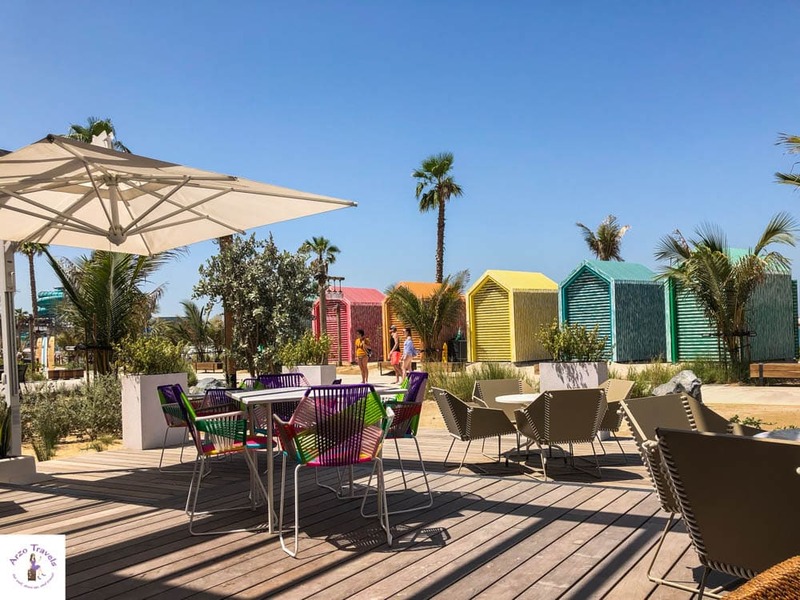 It is on the beach with a lot of retails stores, stylish restaurants and cafes, the coolest bathhouses, and friendly and fun street art – and, of course, the beach! It is a great way to get adjusted to Dubai. 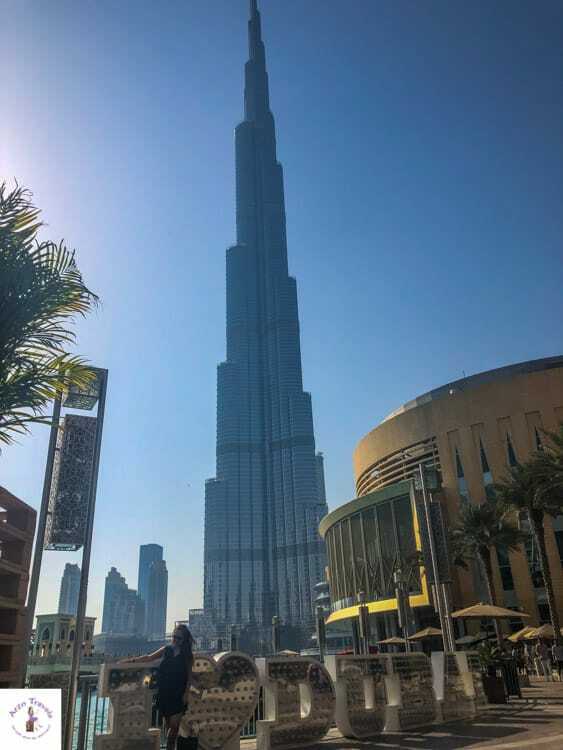 While you enjoy the nice views of Burj Khalifa, one of the main attractions of Dubai, you can take it easy the first day and hold off on getting into the crazy parts of Dubai. 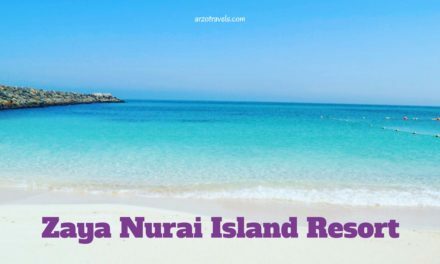 This place is perfect to spend a full day (there are free and very stylish, showers, clean toilets, and you can either bring your own towels or you can book some sun beds and umbrellas). There are sooooo many restaurants that you will definitely find something to your tastes. To see some amazing street art, walk along the rail stores and bring your camera. As beautiful as La Mer is in the daytime, it gets even better in the evening! So before leaving too early, make sure to top your day off at La Mer. There will be many locals and expats coming, as it is not a hot spot for tourists yet, and there will be plenty of options for dining. Watching the sunset from here is a beautiful way to enjoy your first day in Dubai (and always Burj Khalifa in the background). Now, there is a water park that has opened (and which is way cheaper than the other two main water parks in Dubai). Perfect for people who really love to be in the water and who like to switch from a beach to the water park with pools. How to get here: I admit, I am not the biggest fan of the public transportation in Dubai. The bus connection is not great yet but you can get there via RTA Buses 9 and 88. Taking a taxi is another way to get here. If you arrive there by car you have free underground parking. Click here to read more about this fun part of Dubai. After your first slow day in Dubai, it is time to dive into the craziest part of Dubai – Downtown Dubai. You can start your day in Dubai Mall, the biggest mall in the world. It has its own aquarium, ice skating rink, etc. For the fanciest public restrooms and great photo opportunities, head to the Fashion Avenue area (#IHaveaThingWithToilets 🙂 . This posh place will probably overwhelm you and give you a good glimpse of the luxury in Dubai. You´ll find cheaper lunch options in the food court, but outside of the mall, you also have great restaurants that offer fine dining. Even though, Dubai Mall is big it is still busy – especially on a Friday (Friday is the Sunday in the Islamic world but shops are still open and if your second day in Dubai is a Friday, change the itinerary a bit). How to get there: You cannot miss Dubai Mall as it is located right next to Burj Khalifa. And you cannot miss Burj Khalifa…Just because it is sooooo tall. You can get there by metro/buses and it is also a popular drop-off point for sightseeing buses. 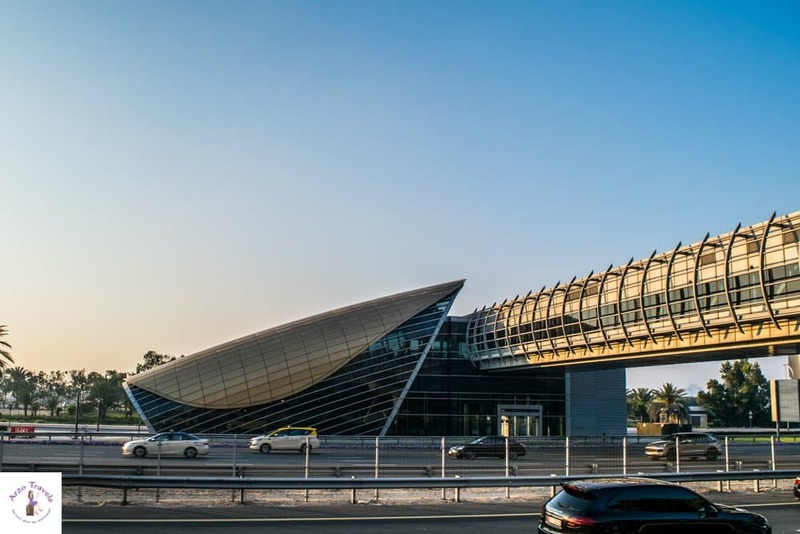 If you get off at “Dubai Mall Metro Station” you have to walk about one more kilometer to actually get into Dubai Mall (there are also buses available that bring you from the metro station closer to Dubai Mall. Afterwards, it is time to head to Burj Khalifa, which is just next to the Dubai Mall. If you are not scared of heights, there is an option to get to the “top of Burj Khalifa” and either visit level 124+125, or level 148. My top tip: Get your tickets in advance. If you want to buy your tickets at the ticket counter you will have to wait endlessly (seriously, it is a lot of waiting most of the time). The lines get crazy there and you need to plan for the time spent waiting in line. If you want to get tickets for level 148 (which come with access to level 124 and 125, too), you can skip the lines. The prices depend on the time of your visit and the level access you buy. For a more romantic time, you can also book a ticket to see the sunset, or just head there around 4 pm and then stay a little longer. This might take several hours, so if you actually visit the top of Burj Khalifa, you should probably go outside the mall (before you go up) so you can take pictures of Burj Khalifa during in the daylight. It really depends on how much time you want to spend there, but I guess 2-3 hours is a minimum. How to get there: While you while seeing Burj Khalifa from everywhere, getting at the top is a bit more tricky. At least, that is how I felt. You have to go to Dubai Mall and then you will see signs that leave you to “At the top of Burj Khalifa”. You cannot enter it from outside the mall as a regular guest. There you could buy tickets at the ticket center (in case you did not buy them in advance ). By the way, this spot is also the perfect place to end your day. After 6 pm, the famous dancing water show goes on (each show takes a few minutes, and it happens every half hour), and I tell you, it gets crazy there. Unless you visit in the summer, this place will be one of the busiest in Dubai. If your second day is on a Friday, I recommend avoiding this place! Dubai Mall is nuts on a Friday, and it gets so crowded that it is can be hard to walk – even after 9 pm (shops are open until 11 pm). The water dance is fun to watch and is free – it just takes a few minutes and it is always crowded but make sure to check out the times and adjust your itinerary accordingly. You can also book an abra ride and enjoy the water show without all the crowds though. For cheap dining options, head to the Dubai Food Mall. For dining with a view, visit one of the numerous restaurants close by (ideally with a view of the fountain, like the Mediterreano of Armani Hotel, but make sure you reserve a table beforehand). How to get there: There is a metro station (Dubai Mall station) and many buses that go there. You could reach the fountain even without entering Dubai Mall (e.g. 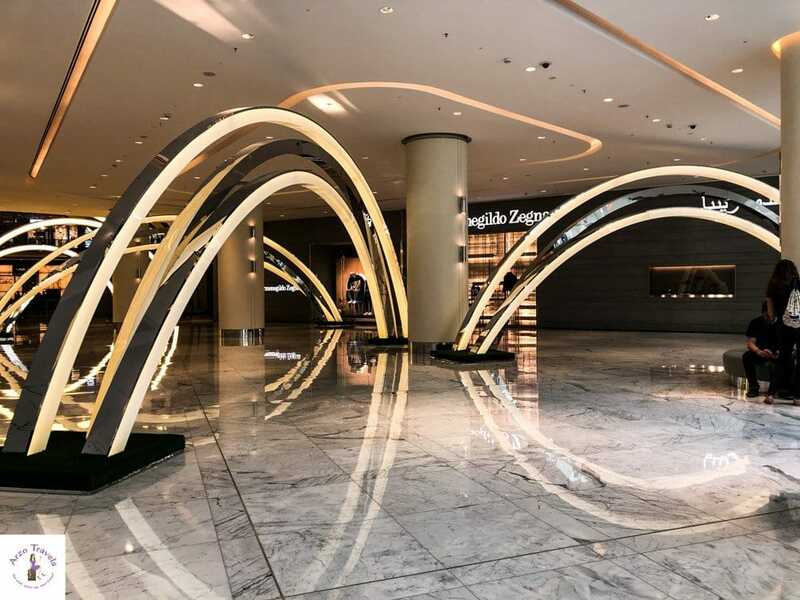 coming from Dubai Opera) but if you are at Dubai Mall, you will see signs that lead you to the fountain as well. The third day is all about “traditional” Dubai and some more amazing views. 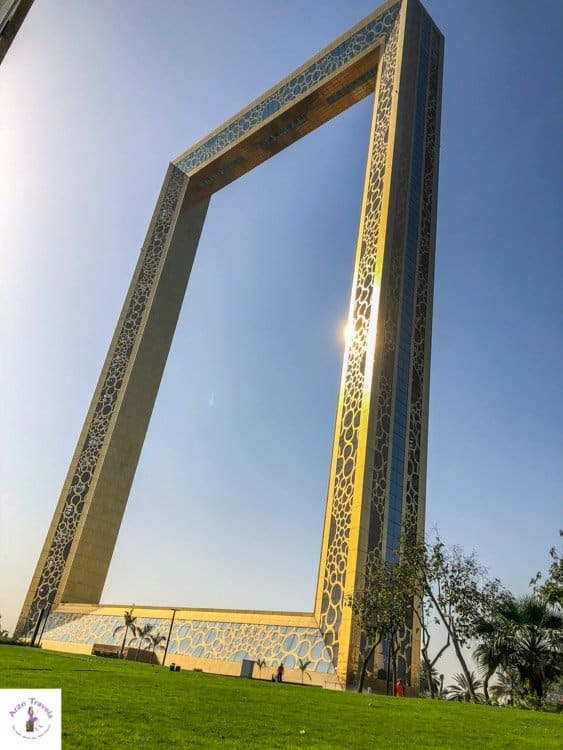 But before you do, you could start your day with a visit to one of the newest attractions in Dubai, which is Dubai Frame. 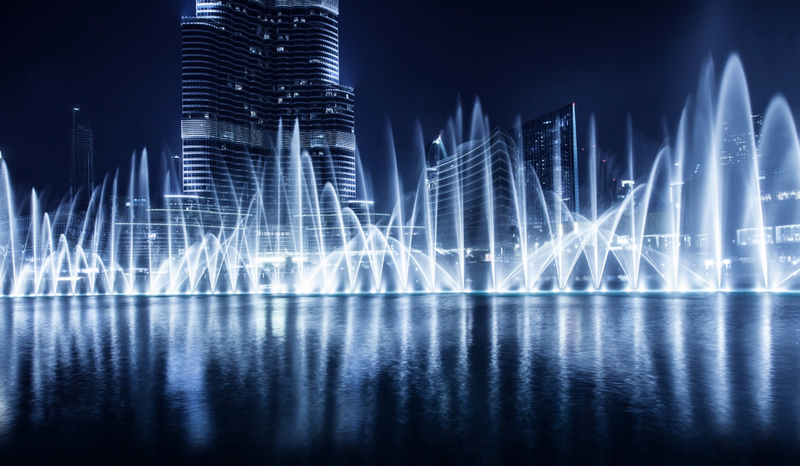 It is located in Zabeel Park, one of the biggest and lushest parks in Dubai. 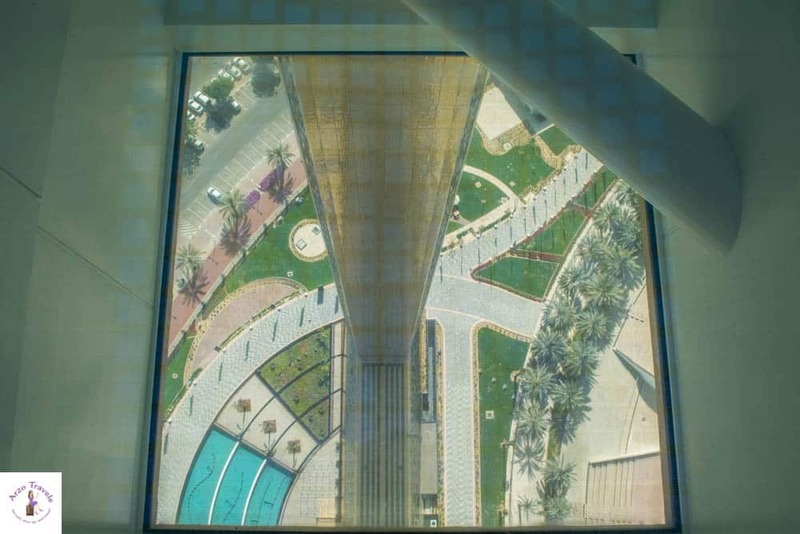 There are some cool views from there of Burj Khalifa, and you can walk on see-through glass 100 meters from the ground. It opens at 9 am (though when I visited, they did not have tickets until 9:20 and it seems they are still not well organized; so probably get there shortly after 9 am, so you still have the view and glass floor almost all to yourself). If you get up there and take a walk, you will probably need one hour. Ticket prices: about 12€, you can buy your ticket right at the ticket counter there or book a guided tour in advance. How to get there: By metro: get out at Al Jafiliya metro stop but you need to do some walking. 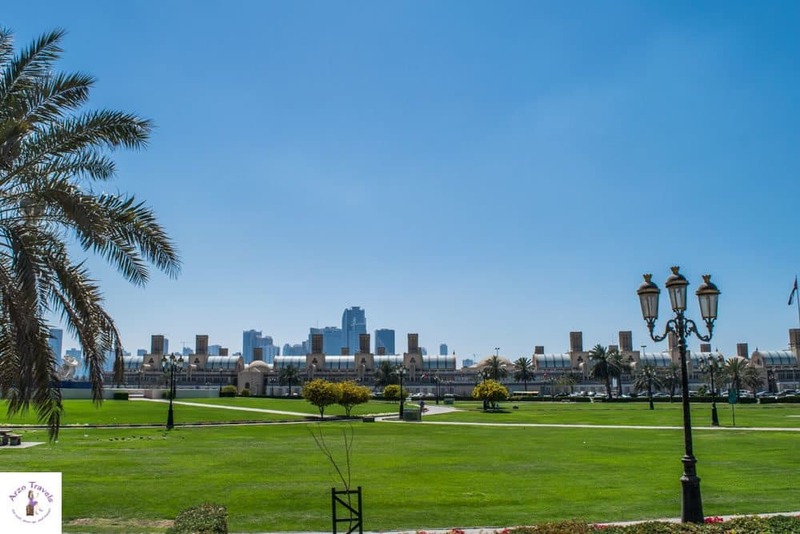 If you need to rest, you could chill at Zabeel Park. The park is very neat, clean and lush and if you are visiting with kids, they will love this break, as there are some playgrounds (entrance fee is about 1.20€). It is also not crowded and thus a perfect place after the craziness of Dubai Downtown. 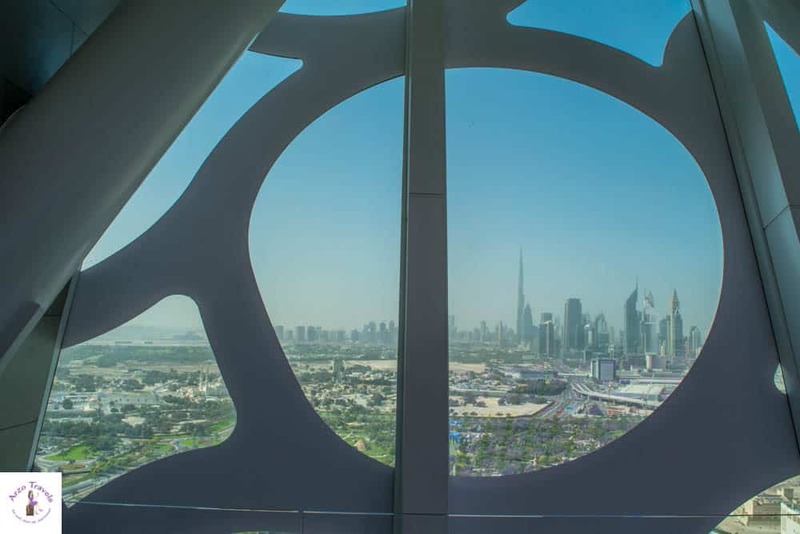 How to get there: There are several entrances, if you come from Dubai frame, you will see an entrance close by. Afterwards, jump into a taxi and get to Gold Souk of Dubai. The Gold and Spice Souks are fun places to visit and, in my opinion, must-see spots. If you are looking for places that have a more authentic touch, you will especially love it here (though the shop owners are mostly from other Asian countries). Souvenirs and Arabian clothes (and gold and spices) are much cheaper than in any other part of Dubai, so if you are hunting for souvenirs, make sure you do not buy them in one of the expensive malls. To get from the Gold Souk to the Spice Souk, jump on one of the abras – the water taxis that cost only about 0.25€. If you ask for the Spice Souk, people will direct you to the correct abra, and after a short ride, you will get to the other side of Dubai, passing the creek. From there, you can take a ride on a dhow, which is a traditional wooden boat. For less than 15€, you can go on an hour cruise. To end the day, I recommend visiting Al Seef. 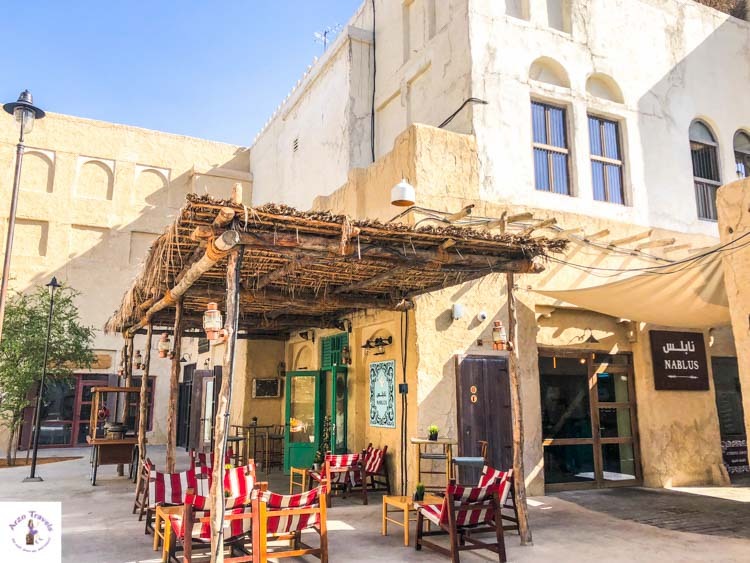 Al Seef was just recently created and is a lovely new area with many restaurants – some in new modern style and others in the traditional Arabic style (though the quislings are new, too). You will have plenty of options for dining, with nice views of Dubai Creek. Extra tip: If you want to learn more about Dubai and its history, I recommend visiting Dubai Museum, which is an interesting, but often crowded, museum in Deira that illustrates the history of Dubai in an engaging way. Entrance fees are just about 1€ and it is probably the best museum to visit in Dubai. Day 3 was all about traditional Dubai, so this day will be all about the new, modern side of Dubai. 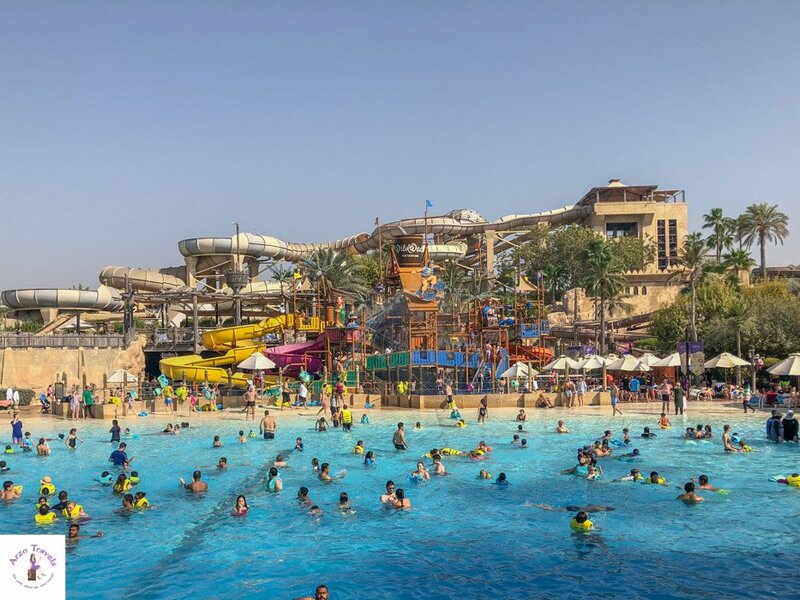 If you are into waterparks, you can head to Wild Wadi Waterpark. It belongs to the Jumeirah Group and has some cool slides and fun water activities. As a guest of any Jumeirah hotel, you will have free access (which actually was a reason for me to book a night at a Jumeirah hotel once). If not, you can buy tickets online (skip the lines). The tickets are not cheap, but kids, in particular, will love it. It would be easy to spend a full day there. From the waterpark, you will have great views of the Burj al Arab, one of the most iconic buildings in Dubai. The food there is overpriced and not that great, but it is a nice activity. You can read my full review here. How to get there: There is no metro station close by. You can get to “Mall of Emirates” and then take a taxi or bus to get there. It is just right next to the entrance of Burj al-Arab (which is not open to the public though). If you are looking for a cheaper option, go to Jumeirah Beach. 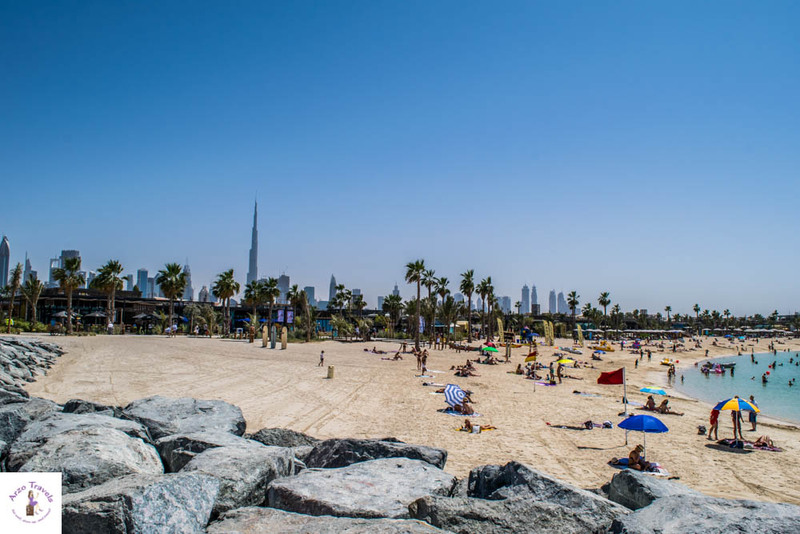 It is an open beach with nice views of Burj al Arab and you can cool off there. The beaches in Dubai are in general not very crowded (not to our European standard), they are clean and safe. I am not a person who spends endless hours at the beach, but water rats can have a fun day here without breaking the bank. Tip: Bring your own food and towels with you. In the evening, I recommend visiting Madinat Jumeirah. 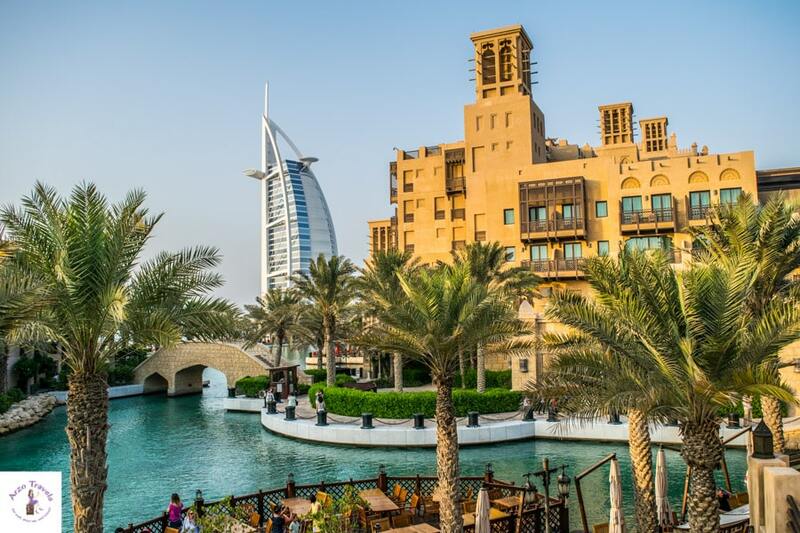 Madinat Jumeirah is so pretty and picturesque – you should plan for a few hours (if you dine there) to check out the area. It has its own souk and a bunch of restaurants and cafes with a view of Burj al Arab (though quite pricey, I do believe it is worth it, as the view is not something that you can get just anywhere). You could also do an abra ride here (though they are way more expensive than in Dubai Deira, the Gold and Spice Souk area) and just get lost for a few hours. It is not far from public part of Jumeirah Beach (and just a stone’s throw from Wild Wadi), and though the area is not huge, it is the perfect place to end your day. How to get there: The closest metro station is the Mall of Emirates. From there, you could take a taxi or walk (though it is a few kilometers). From Jumeirah Beach you could walk, though it is a bit far (from Wild Wadi it is shorter and easier to walk to). The best is to take a taxi or a bus. Sightseeing buses also stop here (both companies). 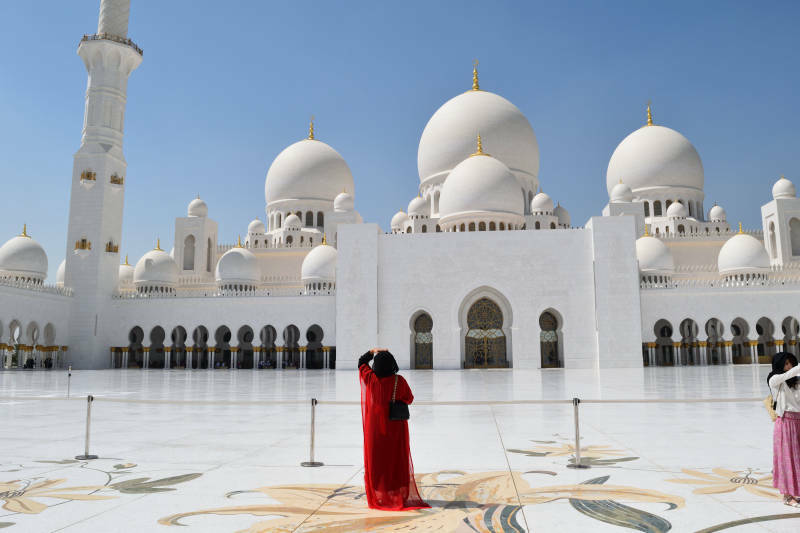 Plan a day trip to Abu Dhabi (or 2 or 3 days in Abu Dhabi). The capital of the United Arab Emirates is definitely a beautiful place and worth more than a one-day trip, but since Dubai also has a lot to offer, one day should be enough to see the most important places in Abu Dhabi. You can read more about a day trip from Dubai to Abu Dhabi here and which sights you should visit. Okay, here is the thing: If you stay in Dubai for more than 7 days, I highly suggest to stay overnight in Abu Dhabi. While Dubai is fun and all that, Abu Dhabi is special and I personally enjoy Dubai more but my sister, whom I just recently took on a Dubai trip with me, liked Abu Dhabi better. If you are in the UAE for 14 days, I would even stay in Abu Dhabi for three days. 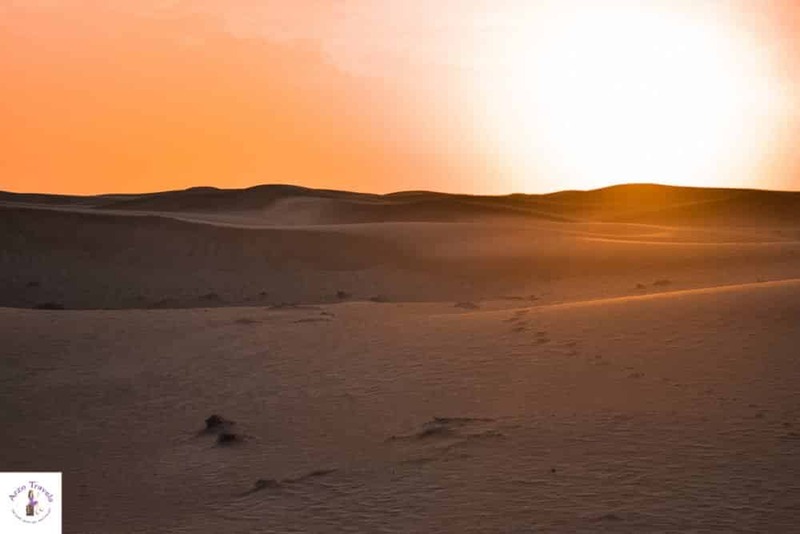 You cannot leave Dubai without doing a desert tour. Normally, the tours – whether you do them in the morning or afternoon – take about 6-10 hours so you will have time to add another activity to this day or you take it easier and chill the rest of the day. A desert safari is a must! Spending half a day in the desert, going on an adventurous 4×4 wheel drive, dining under the stars and star gazing is a like a dream coming true in the desert. You have to fit it in your Dubai itinerary – whether you are there for 2 days, and especially if you are staying longer. Every time I did a desert adventure (and I did a few), it became e a highlight of my Dubai trip. There are several tours available – all fun and a bit different but I recommend doing one with a BBQ (btw: as a vegetarian, I was pleased to find out that there were enough vegetarian options). These memories will last a lifetime. If you are longer in Dubai, this might be even your 8th day (if you spend 2 days in Abu Dhabi). However, since you can tweak the itinerary as you like. 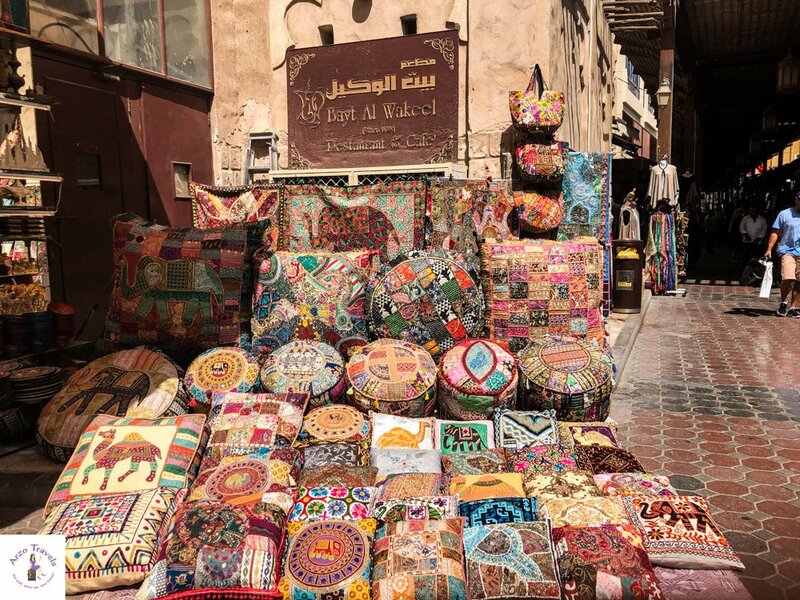 Al Seef is a quite new created area along the Creek – during the day, it is hardly visited by people and if you enjoy off-the-beaten-path places than Al Seef is the place to go. It has a touch of traditional and authentic “Arabia” with the “old” buildings – however, it was just built. There is quite a large number of restaurants along the Creek- on a warm day, I really enjoy sitting in one of these and enjoy a breeze. I also strongly suggest visiting City Walk. 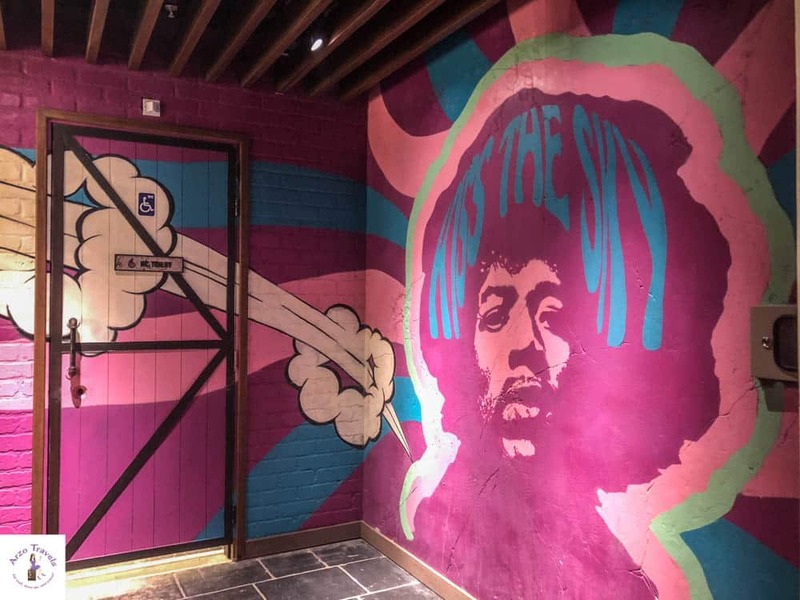 This newly created area is perfect for strolls and shopping but you will also find some murals and interesting details here. I think, it is also a great place for families because there are many child-friendly activities offered, but with the shops, restaurants, and murals it is also good for adults to visit. Personally, I enjoy it in the evening more (but that goes for almost all places), but whether you visit during the day or in the evening, it is less busy and crowded than other places. The last day, but there is still plenty to do. If you would like to have a beach day, then head to JBR Walk and “The Beach”. But there is more than just a beach – it is an experience! This area is extremely popular during the day (and in the evenings, too) and you have free beach access here. 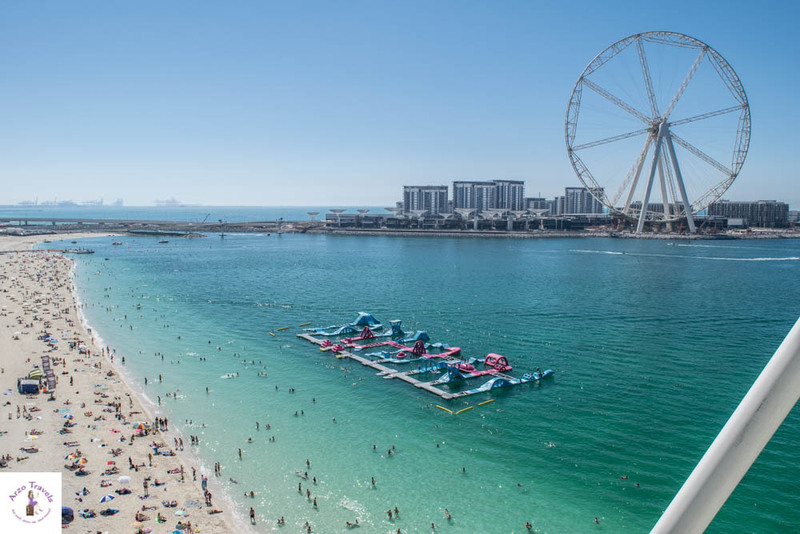 There are so many other things to do, including a ride on the newest attraction, the “Flying Cup,” where you have a great bird’s-eye view of the beach and JBR Walk). Tip: With your Citysightseeing bus tour ticket, you have also a ticket included for Flying Cups – to enjoy great views of the beach and skyline. If you buy tickets separately, they cost about 15 € (adults). It is a fun place for kids and adults alike, so it’s probably a nice way to soak in some Vitamin D before heading back home. It is also great to have good food – there are so many restaurants and cafes that you will be happy to have a wonderful lunch in a lovely place. Other than that, the Palm is lovely for a nice bike ride, but I actually recommend heading to Dubai Marina. This area is full of skyscrapers and one of the best places to take in the awe-inspiring progress Dubai has made in the last few decades. 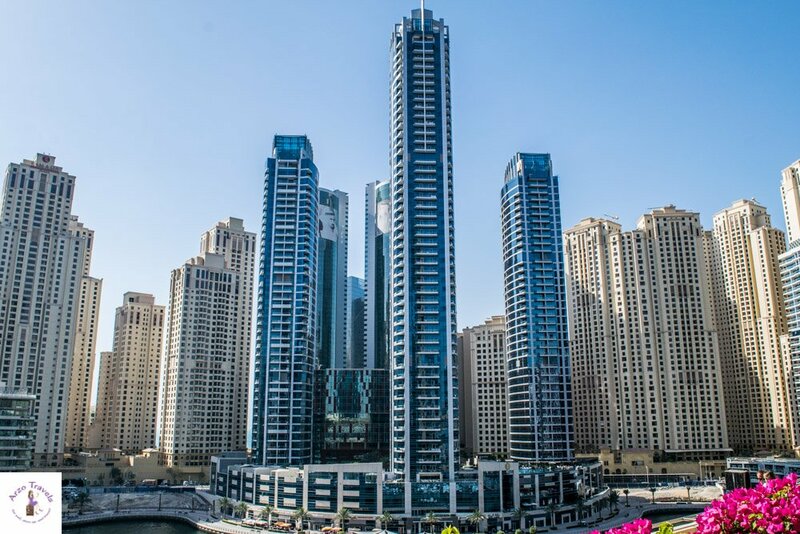 Most of the crazy skyscrapers can be found along the few kilometers stretch of Dubai Marina, and this is one of the best places to end your Dubai trip. Stroll along, let your kids rent go-kart bicycles, and keep looking up to enjoy the grandiose views. For a special meal, you can book a dhow dinner, or you can eat in one of the numerous restaurants there. Pier 7 has a handful of good restaurants that offer some of the best views of Dubai Maria. For cheaper options, look for restaurants on the side streets or buy something from one of the supermarkets there and sit on the bench, enjoying the illuminated buildings. 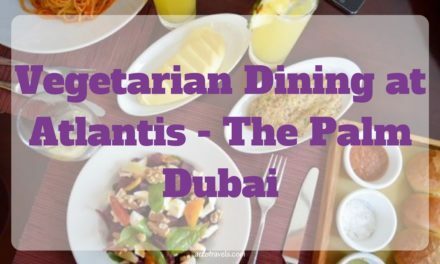 But dining on a boat, cruising Dubai Marina, is also a wonderful option…Truth is, I love this area and think, it is a great place to end a Dubai trip! As much fun as Dubai is, I would go on a few more day trips if you are in Dubai for 10 or 14 days. 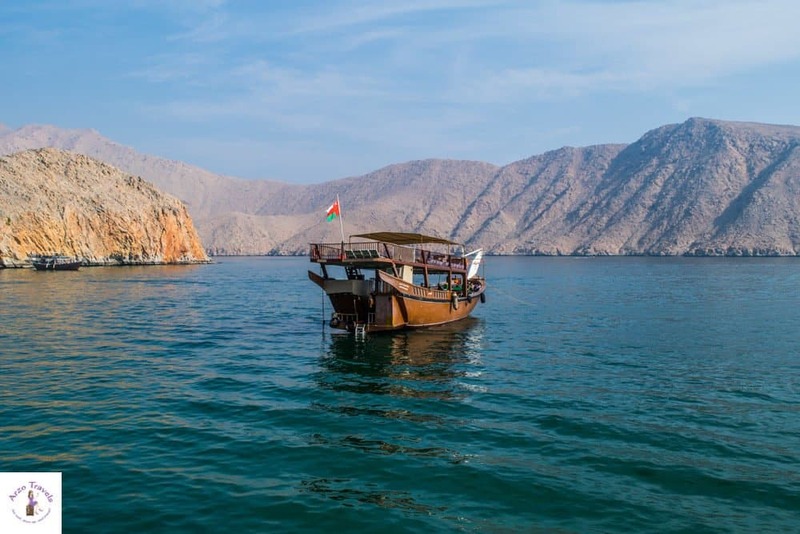 So far, I have only made it to Oman for one day – visiting the Musandam Peninsula as a day trip from Dubai. And to be very honest, I have mixed feelings about it. I somehow totally enjoyed it – getting my very first glimpse of Oman was great. 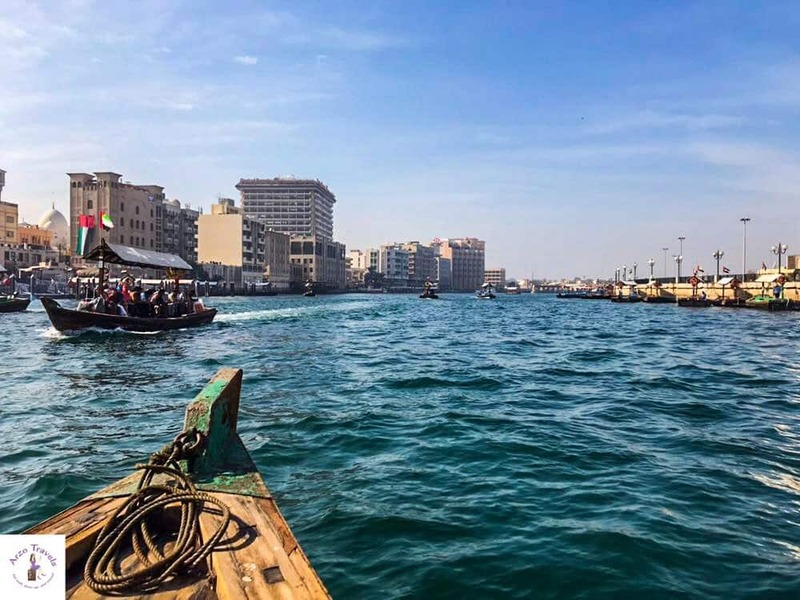 However, if you stay in the western part of Dubai and do a guided tour it can take quite some time to arrive in Oman – if you are staying in Dubai Deira it should save you around 30 minutes (and it will still take about 2 or 2,5 hours (one way) and in Oman the water was not really clean. However, we (my cousin and I) still had a blast and did not regret it (it was the first time we actually relaxed in the UAE). 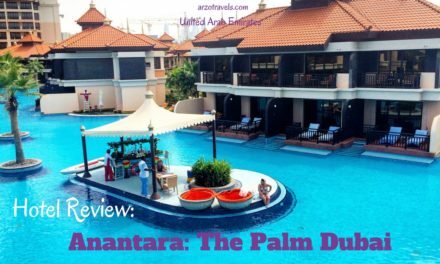 So, if you are in the UAE for a bit longer, you should book a day trip to Mussandam – however, keep in mind that everything can get delayed and you might arrive in the hotel quite late (so plan in some relaxing activities for the day after – meaning tweaking the itinerary as needed). 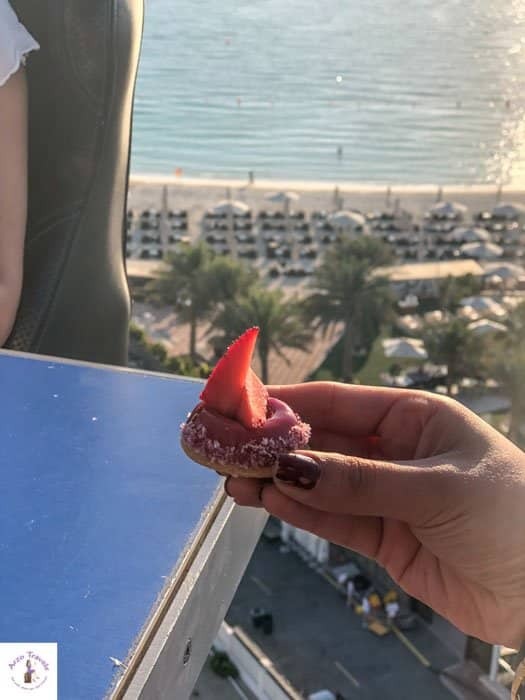 If you are into something more adventurous, why not head to The Palm or to the Police Station near the Mall of Emirates and take a helicopter ride? 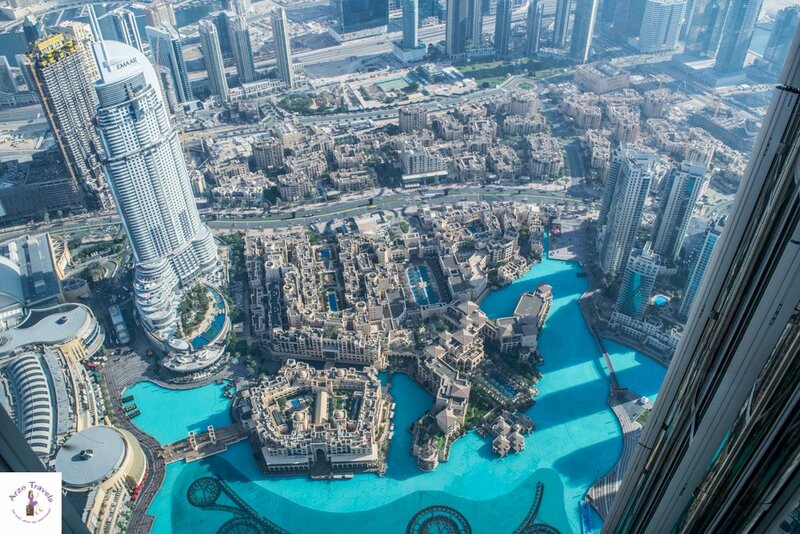 This is definitely an amazing way to get great views of Dubai. Seeing Burj Khalifa, the Palm, Burj al Arab, etc. is something you will probably always cherish. 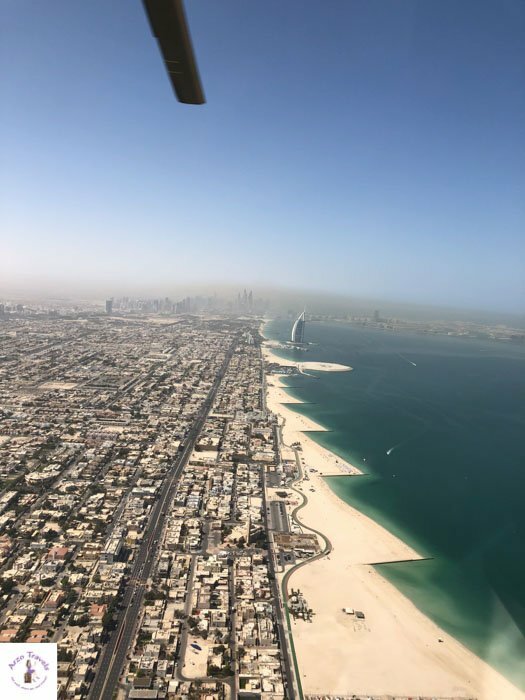 Click here to find out about the prices for a helicopter ride in Dubai (I admit, I did the shortest ride because prices aren’t cheap but it was worth it and I wish, I had done a longer helicopter flight). Tip: For a very unique dinner, you can book a “Dinner in the Sky” experience – a very unique and fun way to enjoy dinner 50 meters up. It is located at the end of Dubai Marina (or the beginning?) so if you plan to do it, it would be best to schedule it when you are at the Marina. Read my full review here or check out prices for a dinner in the sky. Okay, actually I am surprised myself that I did not add this for the first week in Dubai…because, I, I, I really liked the emirate of Sharjah. Sharjah is located right next to Dubai and the smallest emirate. From the eastern part of Dubai (Dubai Deira where the Gold or Spice Souk are), it takes about 15 minutes by taxi to get there. And while Sharjah is so close to Dubai it is totally different. Yes, you have a few skyscrapers but Sharjah is much quieter, more relaxed and very green. 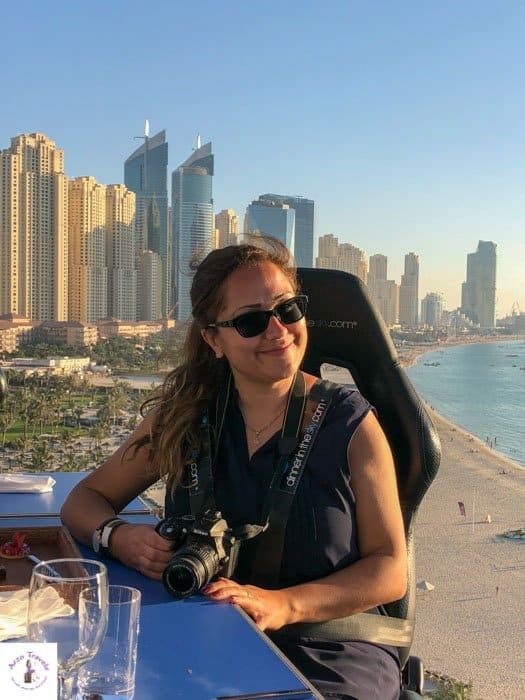 Yes, it is way more conservative than Dubai in terms of dress codes (but I am sure that will change once more Russians and Britains are coming 🙂 and you are not even allowed to drink alcohol – I still loved it and recommend it as a day trip from Dubai. Find out more about its best attractions and places to visit. Day 12 in Dubai is actually day 13 or 14 in Dubai (sounds confusing?!) if you stay longer than a day in Abu Dhabi. So, as in case you are staying in Abu Dhabi for just two days, then you will have time to visit these two places in one day. 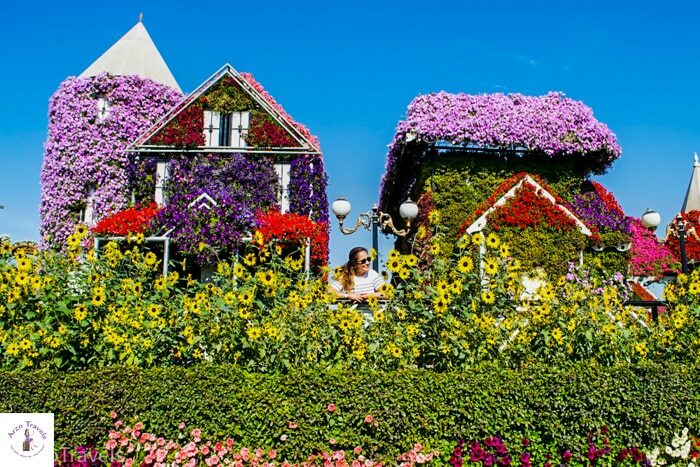 Miracle Garden is quite Instafamous – the flower park located a bit further from the other popular tourist attractions. Tickets are about 12€, and for that, you will see flowers – a lot of flowers, designed and decorated in a lot of interesting shapes and designs. It is Dubai, so of course, it is the biggest flower park in the world and seeing all pieces should take about two hours. Afterward, you could head to Global Village. Tickets are about 5€, and you have entry to a theme park with roller coasters and displays from many different countries in the world. Riding the roller coasters cost extra, but depending on how many rides you take, it is still a cheaper option than a theme park. It is a fun place to visit for a day – especially in combination with Miracle Garden as they are close to each other. If you stay in Abu Dhabi longer than a day (highly recommended) than this might be your last day actually. What I try to do on my last day (and of course it depends what time your flight is) is to revisit the place I enjoyed the most. So, if your flight is not early in the morning I would suggest the same to you. Of course, you could visit one of the places you have not visited yet, but I would not want to stress out on my last day. So, I take it easy and remind myself which place made me feel the happiest – and then I go there again. So, probably this helps you planning your last day, too. So, what do you think? Does this sound like a boring week in Dubai? 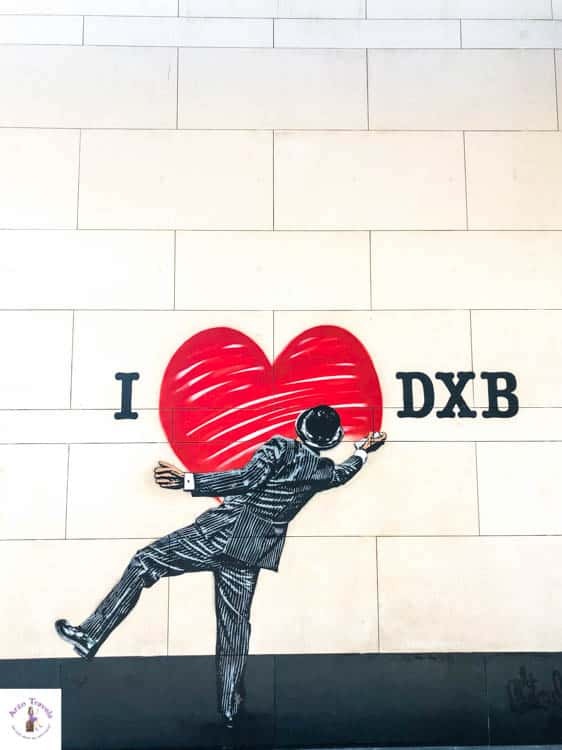 Personally, I think this Dubai one-week itinerary is so diverse and you´ll get to see so amen different sides of Dubai that you will not have time to get bored. On the other hand, you also get some rest and have some time to just chill and enjoy Dubai in a slower way. I wish you a wonderful time in Dubai and am looking forward to hearing your feedback! Follow me on Instagram to find out more about my travels and get valuable travel info.